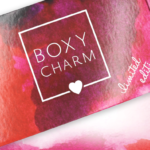 MINTD Box May 2019 Sunday Riley Box Details! This box will be their May box. If you want to guarantee you get the box, “you must be an active subscriber in the Month of April 2019 with an automatic renewal due 1st May 2019.” There will also be boxes available for one-time purchases, but they aren’t guaranteed. If you aren’t familiar, MINTD is a luxury beauty box from the UK that ships worldwide! 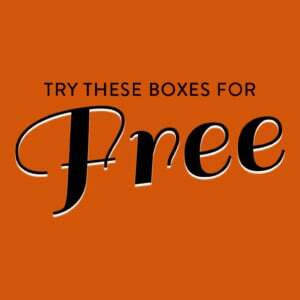 You can get the box monthly or bimonthly, and each box includes 4-5 full size or deluxe size beauty products. Featuring 5 Full / Super Deluxe Sized Sunday Riley favorites. The Products: MINTD Box is a luxury monthly/bi-monthly beauty box which offers 4-5 full/deluxe sized beauty products from the most innovative and respected premium brands. What do you think of MINTD Box spoilers? I’m so intrigued by this darn box! I don’t need to be intrigued by anything else! I already use the SR Martian toner and I’ve just gotten hooked on the new SR retinol that I picked up from a subscription box recently. I’ve been wanting to try Good Genes too… I’m not familiar with this box at all. Wondering how likely it will be that there will be multiple full size products and not just one? Will there be full spoilers before the box becomes available? Maybe I can cancel the Ellen box which I didn’t like at all and grab this one at the one time price… my face seems to like these SR products so it seems only reasonable I should get this one… right? Lol. In my experience, Mintd typically includes about 4 items with at least 2 of them being full size (typically 3). I wouldn’t be surprised if there is at least one more full size item in addition to the Good Genes full size bottle. Mintd typically releases spoilers by the 1st which is when the box will be available for purchase in the shop, but I’m not sure if that’s too late to sign up for April’s box (assuming you want to get the May SR box at the subscriber price). Thanks. I had done a Google search of GBP and saw several pages of Georgia Public Broadcasting. “Great British Pound” never occurred to me. Where I come from, we refer to the British currency as the British pound or the pound sterling. I’m not from the USA, and I find it difficult that Americans use so many abbreviations! Are there any spoilers for the April box? Not yet. They usually don’t release spoilers until the 1st. I will wait when this box will be available for one time purchase. I managed to buy Oskia box from their shop with 20% off in December, hope I can do the same with this box. So I’m confused… Is this the May box? Or do subscribes purchase this separately once it’s available in May? What a slick way to force people into buying 3 month subscriptions. I totally want the SR box, but I don’t want to drop nearly $300 on a 3-month sub. I wonder how likely it is that I would be able to buy a one-off SR box. Yep, I sent an email to customer service and you can sign up now for a bi-monthly sub and will get the March and May boxes. Hmm…I use Good Genes and Luna Oil, and the box in the spoiler (such as it is) looks like Good Genes. My concern is that Mintd is based in London, and Sunday Riley had to alter the Good Genes formula to sell in the UK because the original formula contains too much lactic acid to be sold over there. In the UK, Good Genes has the subtitle “Glycolic Acid Treatment” and in the U.S. the label has “Lactic Acid Treatment.” For that reason, I don’t think I’m going to bite. The regular Good Genes works great for me, and when it comes to skincare, I’m a if-it’s-not-broke-don’t-fix-it type of person. Actually, the box looks like it could also be the Luna Oil. Hopefully they’ll come out with definitive spoilers and I can decide then. I’m hoping Sunday Riley’s new eye cream in in there. I’m getting a sample in the mail today! I already have a few products in travel and sample sizes but there are still a few I want to try or that I want bigger sizes of. So please let me know if I am just missing specific product info in the post. Thanks! The spoiler is a hint of what to come. Not an actual confirmed spoiler. If you know the brand, or have seen the packaging in stores, you can probably guess one of three products that it can be. Thanks Jill! I’m somewhat familiar with the brand since I’ve received samples but not that familiar with the packaging for FS products. I’ll just have to do a little research. Out of curiosity, if you signed up now in March for a bi-monthly, would you still be set for getting May? I’m over the Sunday Riley brand since the whole fake reviews scandal. I don’t feel like they’re trustworthy, or even reliable based on how they handled the issue & refused to accept accountability. They owner did admit it happened, but said she had no idea it was taking place. Who knows if that’s true or not, I don’t think it matters. What matters is she admitted it happened and took accountability on behalf of her company, if not on behalf of herself. Which in the end, is the same thing, isn’t it? FYI for those that are interested in getting a one-time purchase box in May, Mintd will be marking up the box by ~30% to 90GBP. I thought I’d mention that since it wasn’t mentioned in the post, and I didn’t want people to wait until May thinking they’d be able to buy the box at the 70GBP subscriber price from their shop. I think that happened last year with the Oskia box, so some people weren’t too happy knowing they had to shell out extra $$$ to buy the box from the shop. Hmm, how much is 90GBP and 70GBP? Could you please write so we can understand what you mean? It’s Great British Pound. Not all keyboards have the £ symbol. Thanks Luna. I appreciate you quoting the GPB since conversion rates to USB can vary a lot from day to day. In a way it’s a relief when a box costs this much, because I know I can’t possibly afford it and it’s not even an option for my budget. But if I win the lottery in the next month I’m totally buying this! (Too bad I never play the lottery, lol). I’m getting this box. lol. I buy boxes for Sunday Riley to stash back because her stuff works! I also will buy a new box just to hit up some Kate Sommerville. Thanks! I love deals like this. Do you have a deal site to tell/remind you of deals like this? I’m about to get rid of some boxes anyway and have been wanting Mintd for awhile so I’ll sign up for April & May for sure. if I’m in love I’ll keep it longer. I am trying so hard to resist another subscription but every month MINTD weakens my resolution. How many is too many subscriptions? When your vanity is barely visible because of product! I promised myself nothing new until 2020!! When you have so many products you can not use them all before they expire. Yep, I’m there. I just tossed about 20 items last week. I have a problem of “discovering” a product I love, purchasing the full size and neglecting the multitudes of other products I get each month. So, can I wait until April to buy so that I don’t have to get the March box? I only want April and then get the May Sunday Riley box.